Sulake boss Paul LaFontaine said on the firm's official blog that it would be turned back on "in phases" using a mix of moderation and technology. The social network has been the subject of widespread media attention following a Channel 4 investigation into the use of the site by paedophiles. Following the allegations, the chat facility on the site was turned off. 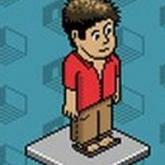 Mr LaFontaine said that once the site was relaunched, it would herald a "new era of protected democracy" at Habbo. "By that, I mean a regulated environment that protects the free speech, as well as the safety and interests, of the legitimate user community," he explained in the blog post. "Protected Democracy is a new concept that we are pioneering in a poorly regulated social gaming industry," he said. "It can only be realised through a mix of technology, moderation, education and engagement. This is a complex combination that cannot be achieved in a single step. That is why I will turn the Habbo site back on in phases, focusing on specific markets to test the new technology," he added. The tests on the new-style Habbo Hotel will start in Finland today. Earlier this week, Sulake launched a separate website - The Great Unmute - in order to allow Habbos, as users are known, to have their say. Some 10,000 responses were received, according to Sulake. "The content generated by The Great Unmute will inform and direct my long term plan for the Habbo community, already in advanced draft form," said Mr LaFontaine. "The teens and young people who inhabit our site have spoken in a mature, united and compelling voice. They have articulated the practical and personal benefits of a virtual community for a demographic full of young people still discovering themselves and their place in the real world."